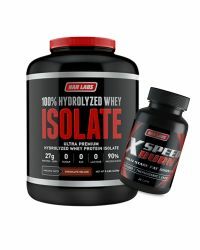 OPTO ISOLEAN is an ultra pure whey protein designed to help you increase fat-free mass and muscle strength while naturally boosting your metabolism. 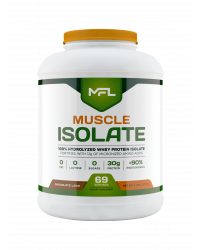 Our isolate provides you with one of the purest forms of complete protein available, including essential and non-essential amino acids, the building blocks for repairing cells and muscles and the production of energy. Each serving of our delicious blend contains 26 grams of fast absorbing, whey protein isolates which provide your body with practically zero carbs, fats and lactose while promoting lean muscle growth and loss of body fat and helps improve recovery time from intense training. On you journey to reach your health and fitness goals, Icon Muscle OPTO ISOLEAN provides what you need to nourish your body and promote a healthy lifestyle. Regulates and improves muscle protein synthesis after exercise. Branch Chain Amino Acids help your body protect its glycogen stores. This lets you burn fat while increasing performance and endurance. Lysine works with other essential amino acids to maintain growth, lean body mass, and the body's store of nitrogen. Provides nitrogen used to make nitric oxide (NO) and increase blood flow to tissue during and after exercise. NO promotes fat breakdown, suggesting that arginine may help with the utilization of body fat stores during exercise or when dieting for fat loss.